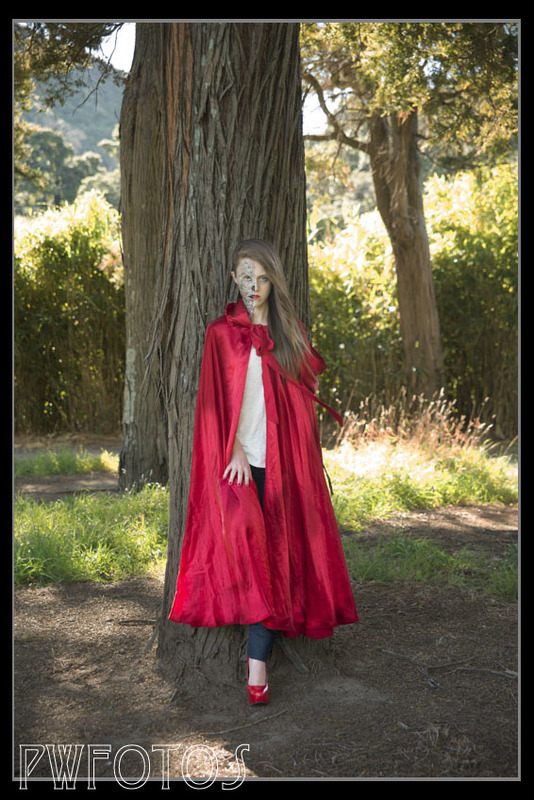 This year the last round of the Hutt Camera Club Ladder competition has the theme “Once Upon A Time” in which we are challenged to create an image that represented a fairy tale. It is called “conceptual photographer” where the photographer gathers together a significant amount of the elements that end up in the final image. Now those that have read this blog will know that it is a style of photography that I really like. I decided on a number of ideas that I would progress and just before Christmas 2012 made a casting call on Model Mayhem for models and makeup artists who were interested in taking part in the project. 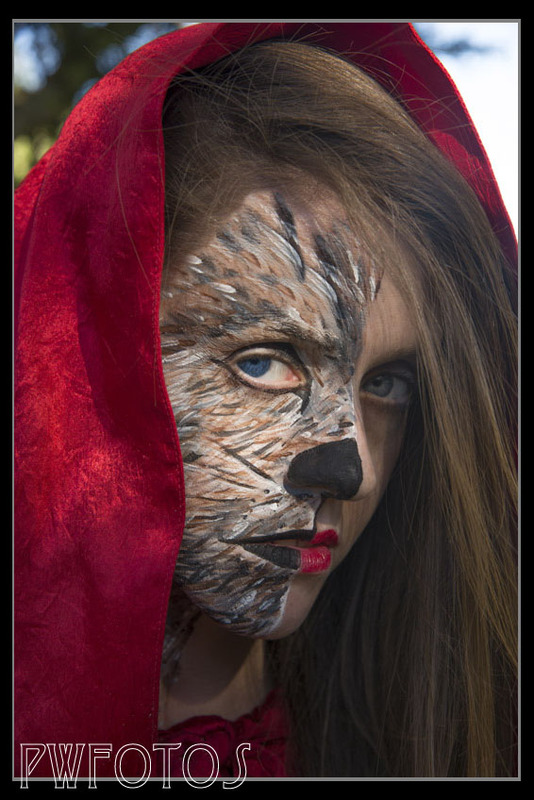 As it turned out the first shoot ended up being “little red riding hood”. However I wanted to do this with the twist that the recent television series had introduced where Red and the wolf were actually the same individual. 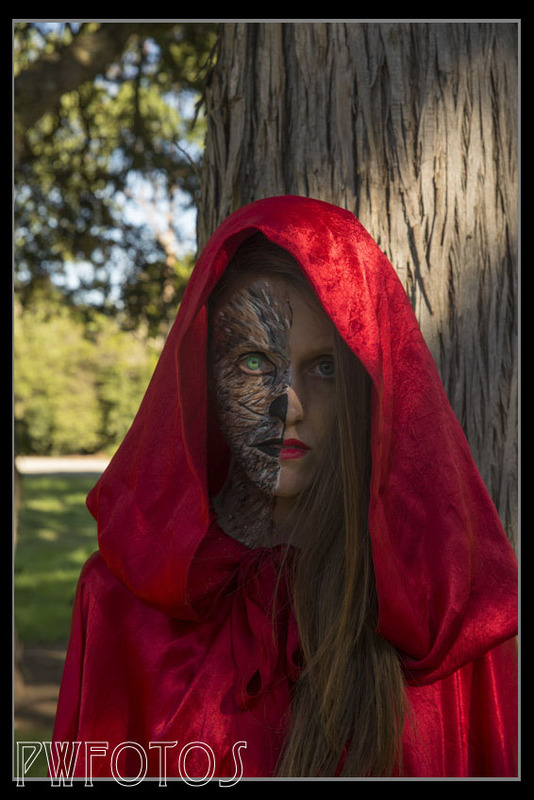 To represent this I wanted a model to be face painted on half her face as a wold while the other side remained normal. Rachel agreed to the shoot and my wife Vicky agreed to do the facepainting. Lower Hutt photographer Mandi Lynn kindly loaned us a cape from her wardrobe. We shot late on a Sunday evening in a park not too far from home and I am really pleased with the early results. The final images may be tweaked even more in photoshop before being entered into the competition later in the year.